Coheed And Cambria And Taking Back Sunday Announce Co-headlining Tour - GENRE IS DEAD! Here’s another hot tour to add to your must see list. 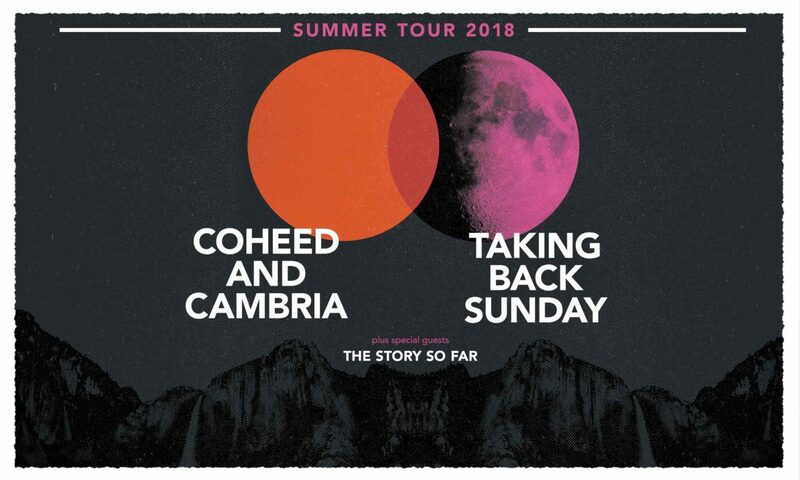 Coheed and Cambria and Taking Back Sunday team up for a summer co-headlining tour in the US. The two will spend the majority of the summer on the road with dates kicking off July 6 in Miami, FL and wrapping up August 12 in Phoenix, AZ. Pop-punk rockers The Story So Far will be the support act. Tickets go on sale Friday, February 23. Check out all the dates below. Before this trek, Taking Back Sunday will play a brief run of dates overseas. Check out those dates here. Coheed and Cambria released their last album, The Color Before the Sun, in 2015. Taking Back Sunday released Tidal Wave in 2016. Pingback:Taking Back Sunday Reveal The Departure of Founding Member Eddie Reyes - GENRE IS DEAD!